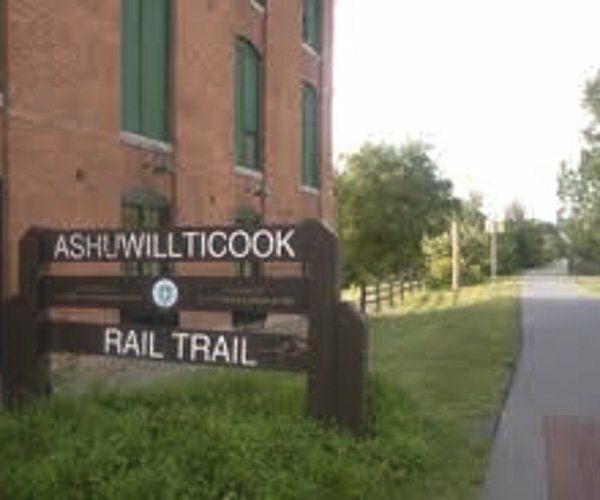 The Ashuwillticook Rail Trail is a multi-use trail running north - south in Berkshire County. The Trail parallels Route 8 with the southern end beginning in the town of Lanesborough near the Berkshire Mall. The Trail is 11 miles long with the northern terminus in the town of Adams at the Visitor Center. Running alongside Cheshire Lake and the head waters of the Hoosic River, the Rail Trail provides excellent views. The Ashuwillticook Rail Trail is a multi-use trail running north – south in Berkshire County. The Trail parallels Route 8 with the southern end beginning in the town of Lanesborough near the Berkshire Mall. The Trail is 11 miles long with the northern terminus in the town of Adams at the Visitor Center. Running alongside Cheshire Lake and the head waters of the Hoosic River, the Rail Trail provides excellent views.